You are here: Home » News » Vinyl Fence News » What is the difference between privacy fence and semi-privacy fence? 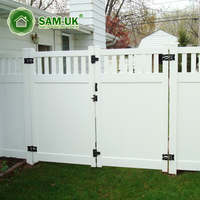 What is the difference between privacy fence and semi-privacy fence? When you see this article, maybe you are preparing to decorate your courtyard. The fence is an indispensable part of the decoration. 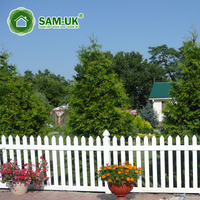 Vinyl fences have become more popular in the public in recent years and have become popular products on the market. This article helps you understand the vinyl privacy fence and the semi-privacy fence. A privacy fence and semi-private fence add a touch of security and elegance to your outdoor space. Privacy fences are a great solution to effectively block your yard from wind, weather and external intruders. If you are not at home, the fence can also provide some protection for your property, arguably, providing protection and isolation. The vinyl privacy fence adds value to your home and yard, giving it an overall stylish and refined look. We offer a variety of vinyl privacy fence products to meet all your fence needs and add charm to your patio. 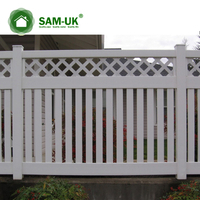 We offer many privacy fence products. 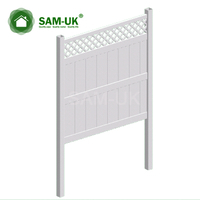 If you want a completely hidden Han Jing, please choose the vinyl privacy fence. There are no slats or partitions in the privacy fence. A closed privacy fence is beneficial because it can stop you from wanting to bother. 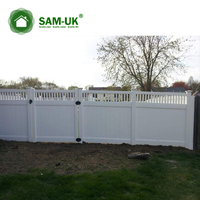 The stable structure of the vinyl privacy fence adds durability and gives you the best in garden safety. This vinyl privacy fence will make you feel very safe. Unlike fences or traditional wood, vinyl privacy fences also eliminate some of the outdoor sound, giving your yard a more intimate, greener feel. 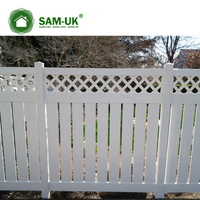 A vinyl privacy fence is also important to your garden. A vinyl privacy fence protects you and your plants from bad weather and bad weather. Some plants thrive in dark environments or in limited sunlight, so privacy fences can protect your garden from the sun for a long time. 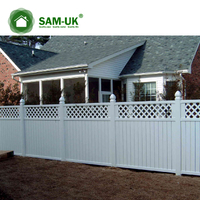 Another fence that can protect your privacy is to choose a vinyl semi-privacy fence. 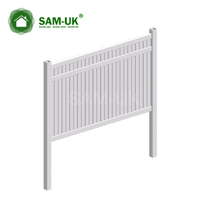 It still provides you with a well-structured fence, as well as security and air circulation. If you don't want your yard to be too closed, consider setting up a semi-private fence for your patio. The semi-private fence will not completely block you from the outside world, you can blow the wind in the yard. The plants in your garden can also enjoy the fresh air and sunshine. Usually, the semi-private fences bought near your home are not the ones that are placed on the rails. Unlike our semi-private vinyl fences, these fences are not durable. Our fences come in a variety of styles and quality guarantees, no matter which style you decide is right for you, our semi-private vinyl fences are sturdy and reliable and will provide a superb style for your patio decoration. The pillars used in our semi-private vinyl fence slide over the routing tracks for a truly multi-dimensional look. The bottom rail is reinforced with aluminum for added strength and durability. The above is an introduction to these two products. 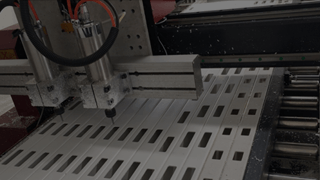 We are a manufacturer specializing in vinyl privacy fences and semi-privacy fences. 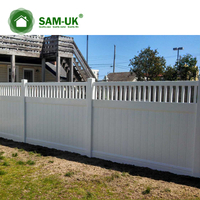 We offer a variety of vinyl fence products, and you can customize your fence to suit your needs. You can browse our product information at any time, welcome to consult us. Copyright 2018@Taizhou Zhuoxin Plastics. All right reserved.